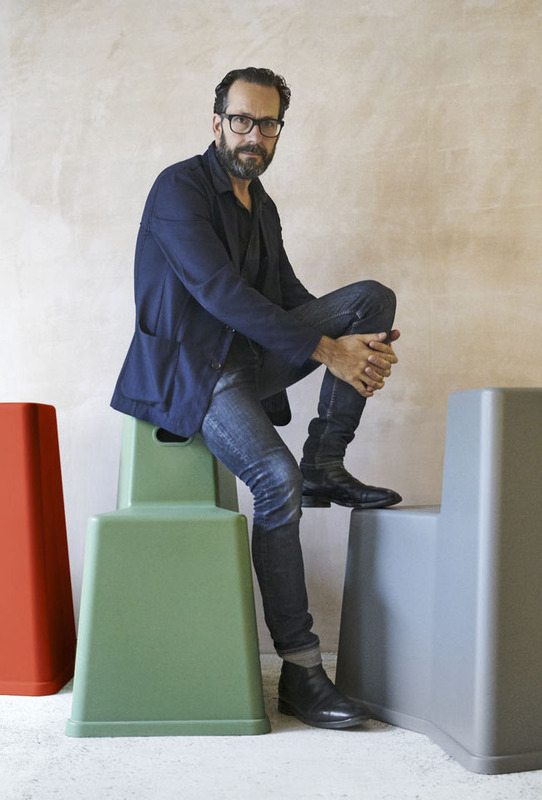 Konstantin Grcic’s concept for the Superflexible Office is all about creativity, communication and innovation. 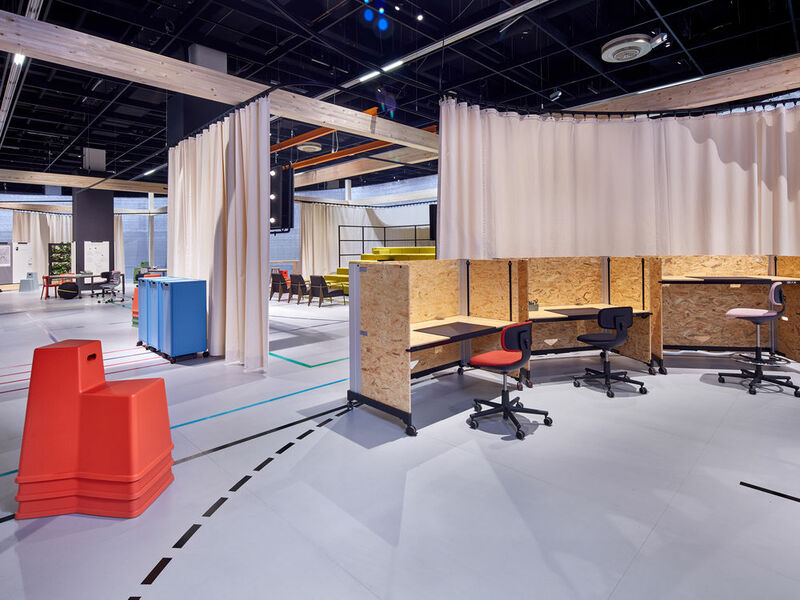 Users can easily rearrange this office on their own: divider curtains, mobile partition walls, furniture on castors and stacking chairs make it possible to create differently sized rooms for myriad uses in just seconds. 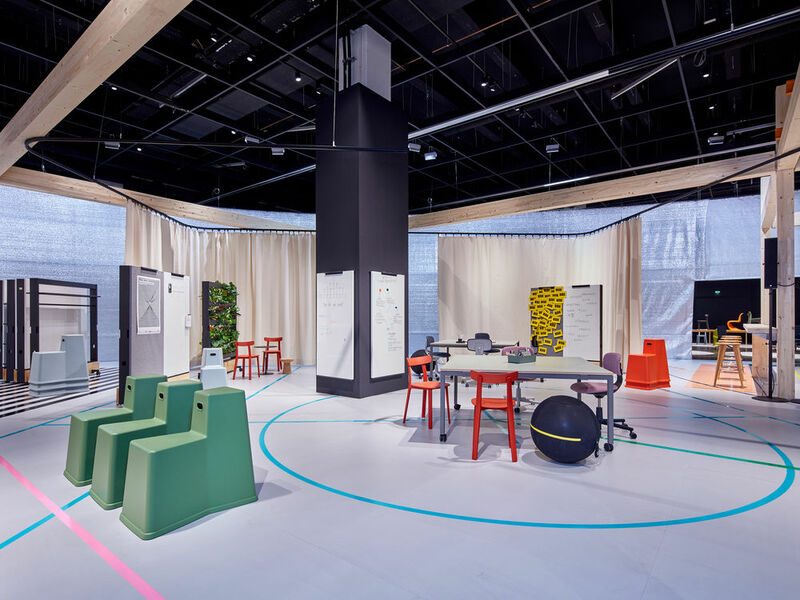 The Superflexible Office can be frequently reconfigured while always maintaining its identity – now a meeting room, then a café, tomorrow a communal space.